Love Pastel Lehengas? Then you are going to love the latest Jayanti Reddy Summer Lehengas. I have been a fan of this Hyderabad based designer since the very beginning. Her earlier collections had a lot of silk banarasi lehengas with a modern touch. Either the dupatta or the lehenga blouse in her silk outfits were beautiful heavy workpieces giving it a nice balance. This time, Jayanti Reddy Summer Lehengas have a soothing summer romance feel to it. With scallop dupatta borders, fit and flare lehenga skirt, and heavy embroidery all over, these bridal lehengas are beautiful for both the bride as well as the sister of the bride. Since the designer is just launching her collection, it’ll be some time before she reveals the lehenga prices. 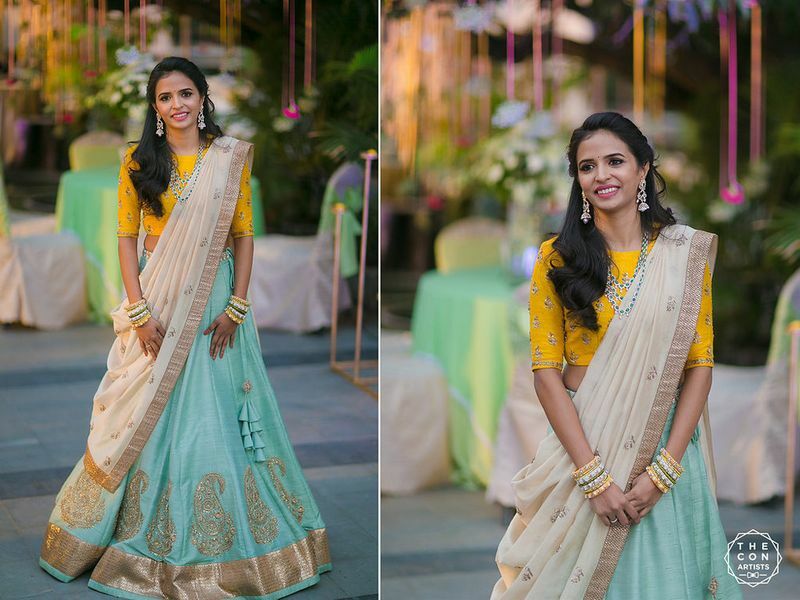 But if you want to get an overall idea of what Jayanti Reddy Lehenga Costs, then here are a few posts where you can find her lehengas with prices. Usually, Jayanti Reddy Bridal Lehengas cost anywhere between INR 70k to INR 2.5 Lakhs. It really depends on what style, whether bridal or non-bridal you are opting for. I will be updating the lehenga prices as soon as I come to know the prices. In the meanwhile, if you want to really check out previous collection prices, check Pernia’s Pop Up Shop, Aza Fashion or Aashni & Co. This is the only silk lehenga I saw in the new collection. Although that makes me a little sad, I am sure there are many more coming in the collection. What do you personally prefer? Silk lehengas or the heavy embroidered lehengas like in the pictures above? What Does Sabyasachi Menswear Sherwani Cost?